Dahlia is a precious Easter bunny with a crown of roses! 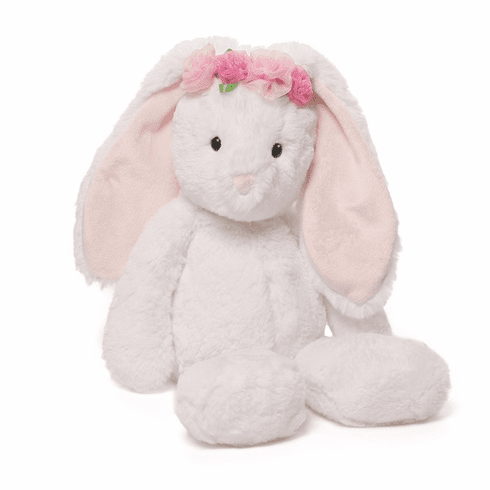 Features super-soft plush, adorable floppy ears, and a striking lilac color. Perfect size for Easter basket stuffer Surface-washable; ages 1+ 13 inches Embroidery available on the ear of the bunny.